Sometimes,…..showing the love of Jesus, is not an easy task. It would be so wonderful, if everyone were of a like mind, and sought to be loving, kind, and understanding. To have patience and tolerance, for one another. Sadly,…we often face conflicts. We find ourselves in the midst of envying’s, and strife. When this happens,….we often feel like throwing up our hands, and just walking away. To shrug it all off, to forget it,……. but that will never solve anything at all. Sometimes,….even trying to talk with someone, may not work. We must still try to communicate to see if we can find an understanding. Find a common place of reasoning. Most everyone can be reached, but there will still be some that cannot be. Maybe due to pride, or holding on to stubbornness, or that they simply do not want to understand. We have to remember that Jesus, does not want us to be at odds with one another. That is why it is so very important to try every act of kindness that you possess, to try to mend what can be mended. To try to appeal to them, as a Christian. Sometimes this too, will not work. However, we can feel better knowing that at the very least,….we made our best possible efforts. We must also remember the most important thing to do before proceeding with anything, is to pray first! To ask God to help you,….. because He will. 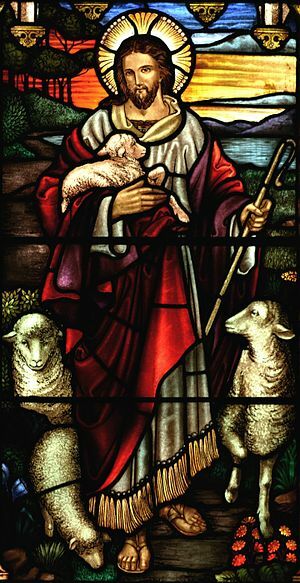 This entry was posted in Random Thoughts, Spiritual and tagged Ashfield New South Wales, Christ, Christian, Christianity, Glory (religion), God, Good Shepherd, Gospel of John, Jesu, Jesus, Religion & Spirituality, St John's Ashfield, Wikipedia. Bookmark the permalink.